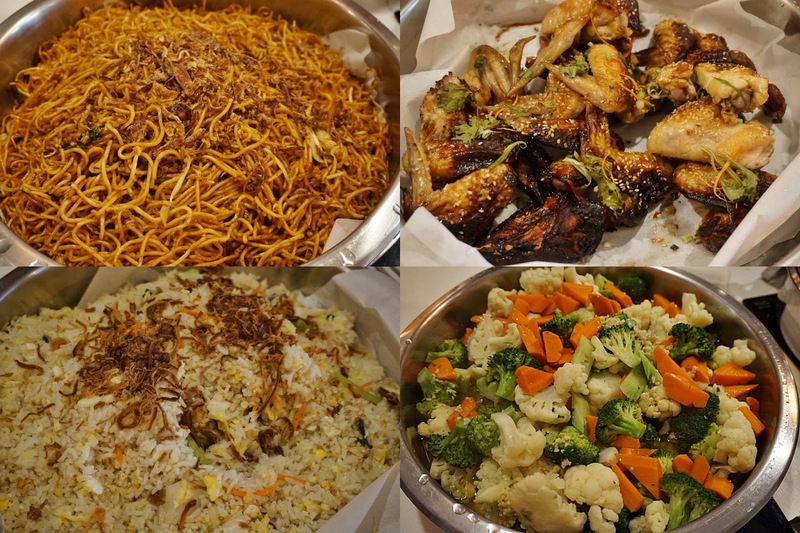 We had a fun weekend escape, a relaxing stay at Furama Bukit Bintang last weekend. 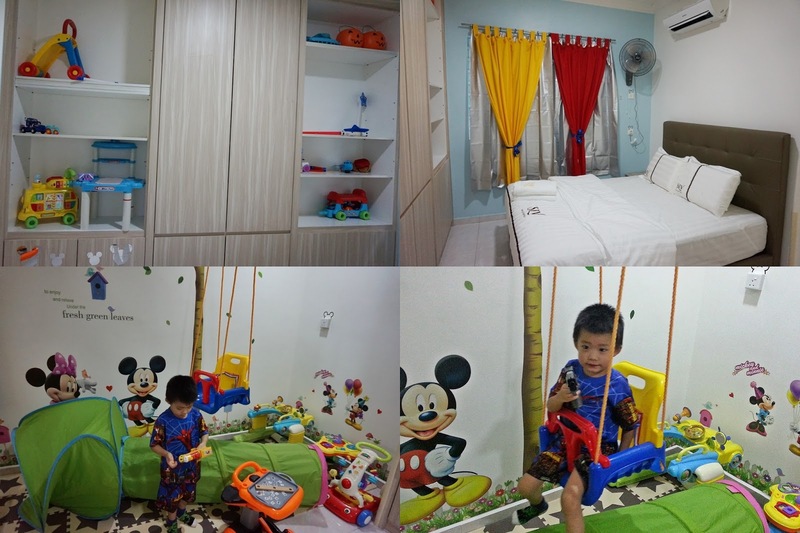 It was indeed a memorable staycation for us because of the child-friendly room that makes the kids feeling so grateful and excited! 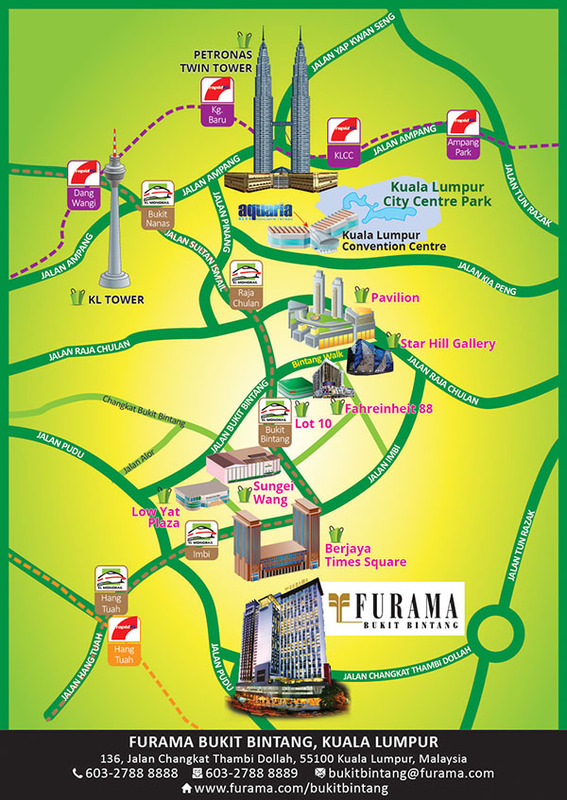 Furama Bukit Bintang is centrally located near Kuala Lumpur's bustling Golden Triangle adjacent to Bukit Bintang, Berjaya Times Square and a short distance to Chinatown, Furama Bukit Bintang is also conveniently situated near the main shopping belts of Kuala Lumpur. 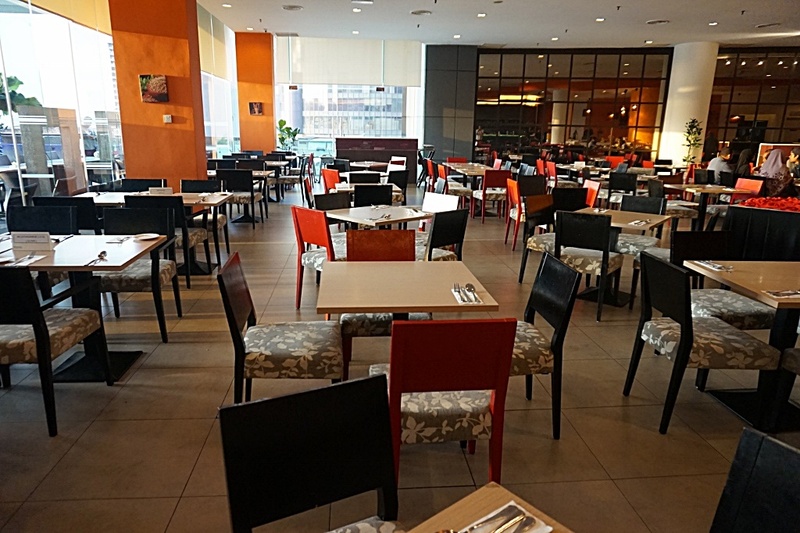 Imbi monorail station is just a five-minute walk from this Kuala Lumpur hotel. 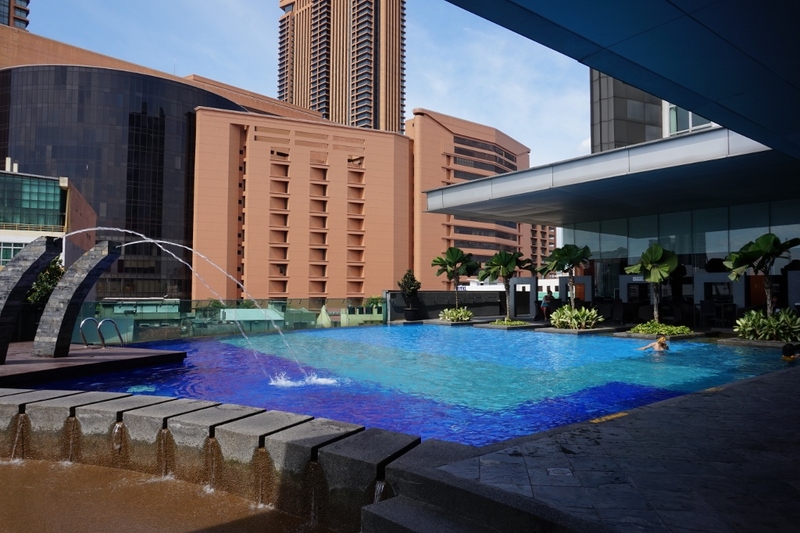 This elegant and modern business hotel in Kuala Lumpur features 433 non-smoking guest rooms with spectacular iconic views of the vibrant city. Enjoy greater connectivity with complimentary Wifi throughout the hotel. We have a smooth check in and our room are ready by 1pm. The friendly reception explained on the direction to our room and also our complimentary breakfast for the next morning. She also come up to our room to check if our kids room setup is all done and complete. 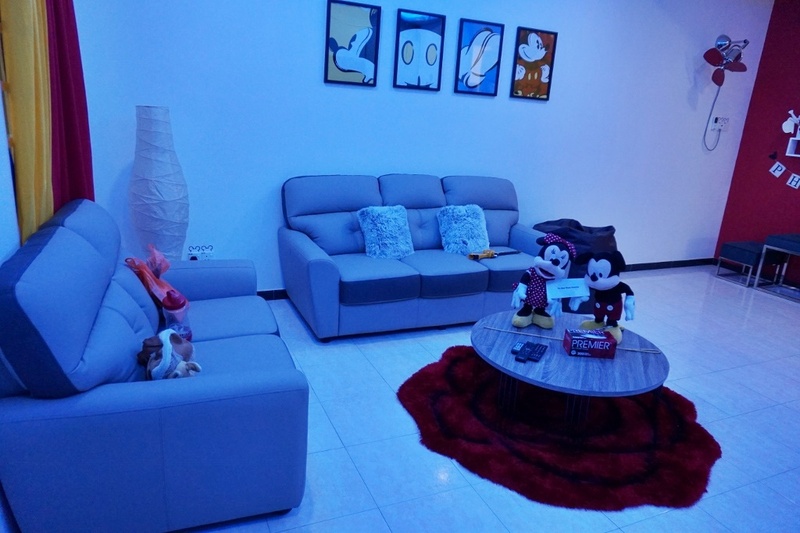 This family room is spacious with an extensive living and resting area, bonding with loved ones and family is so much fun and enjoyable.The family room is 90 square metres that includes 2 connecting bedrooms together. Premium amenities, complimentary internet access, working desk, 32" LCD television with satellite channels, coffee & tea making facilities, IDD phone, bathroom amenities, bedroom slippers, in room safe, hair dryer, iron and iron board. 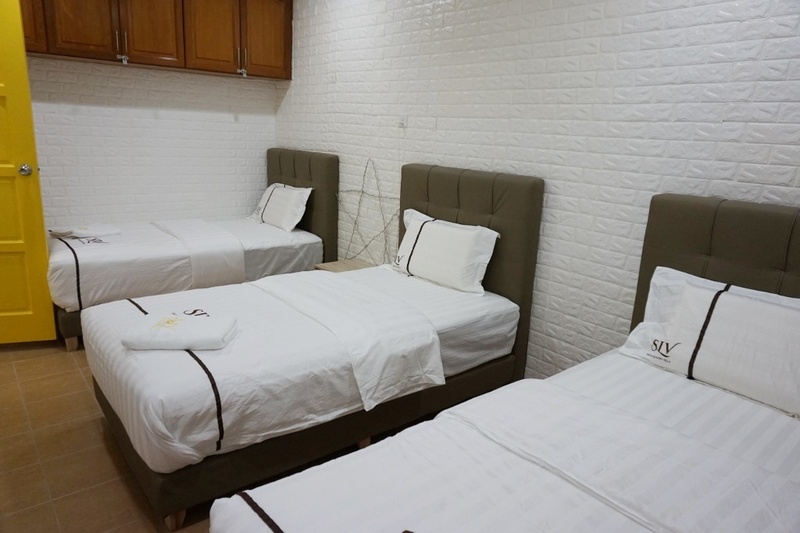 Safety box, extra pillows and laundry bag is provided as well. 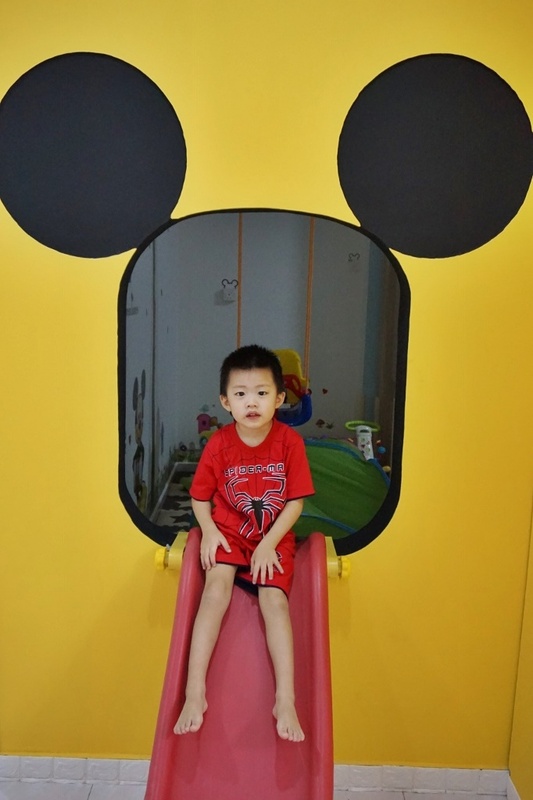 We love the special kid's set-up room which is attached together in the family room. The set-up is equipped with child-friendly amenities that includes bed sheet and comforter, pillow, cushion, bedroom slippers, small play table with chair, toothbrush, toothpaste, bath towel, hand towel, toilet bowl seat cover, small step-stool in the bathroom, kiddie mug with spoon and Milo sachets. The Family Room can accommodates up to two adults and two children. 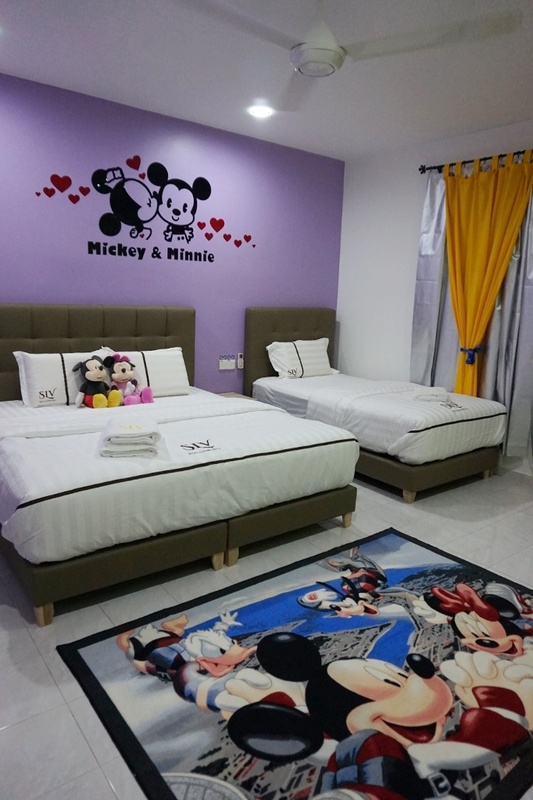 Kids room set-up is subject to availability and guest just need to top up with an additional MYR 100. Pleasant and nice kids sleeping environment with complete kids amenities. Awesome setup that makes us feel like a home! Carrie Junior toiletries for the kiddos. Small and convenient set of shampoo, shower gel, powder and lotion. They also provide new sets of toothbrush and toothpaste with bright colour cups. A very thoughtful setup that makes the kids feel comfortable and happy to see their own range of toiletries, potty, cute design of the towels and mat. Writing table for the kids or they can also have their snack time sitting there while watching their favourite cartoon channel. They have their own teddy slippers to wear in the room too. 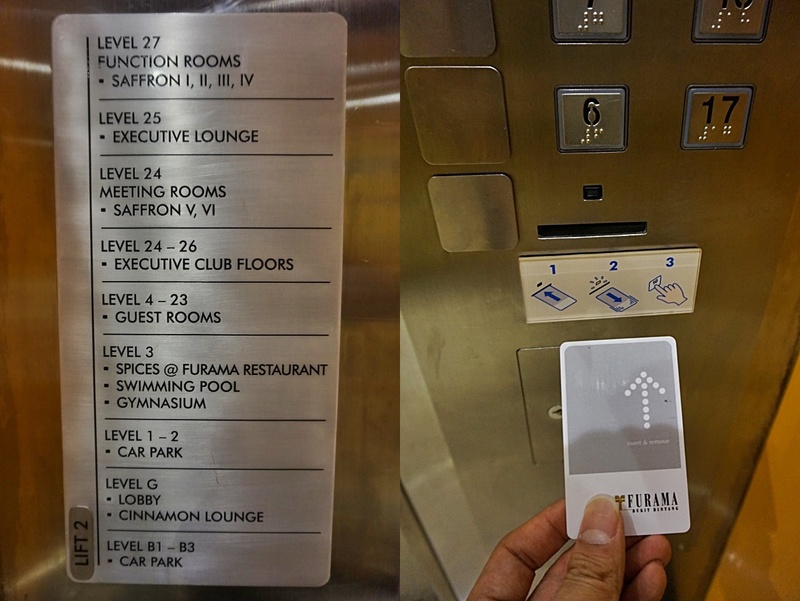 We need to insert our room card inside the lift and press our room floor in order to access. This is for security purpose. 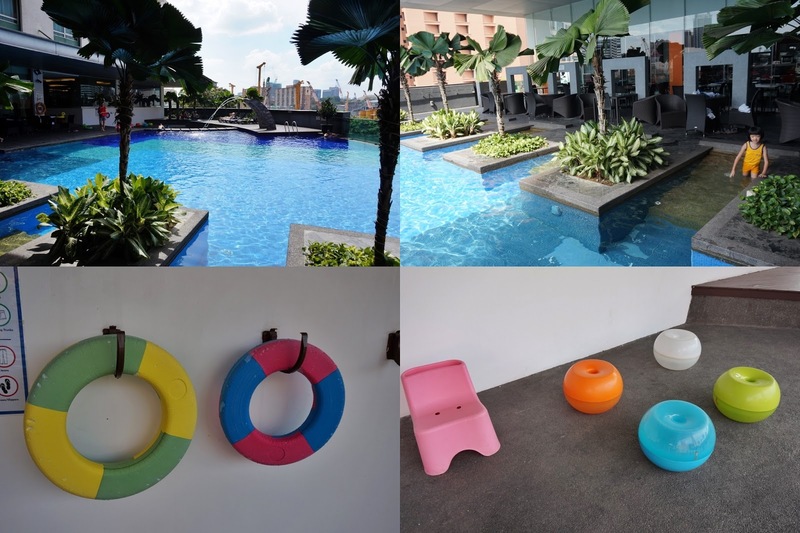 After settle down, the kids can't wait longer to check out the hotel swimming pool located at Level 3. Fun filled swimming time together during this nice weather. There are colourful floats and kiddie tables and stools surrounds the area. My children have fun and bonding time together enjoying their splash moments. 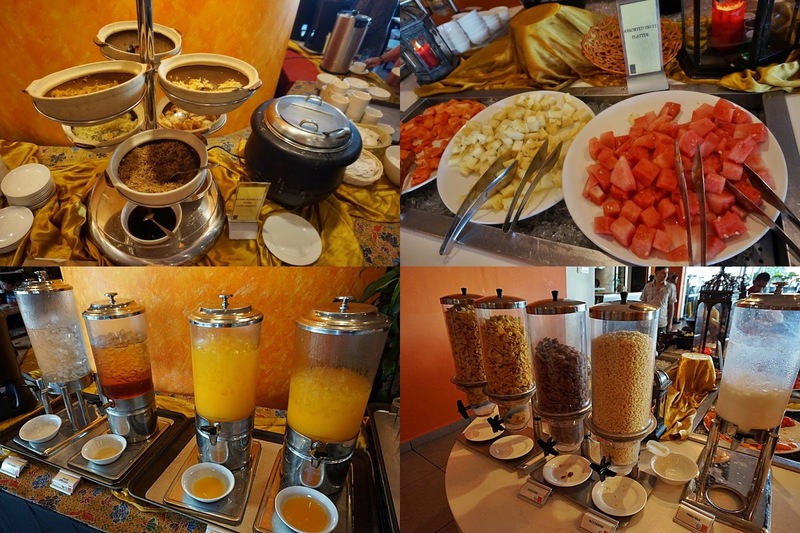 Tempting desserts corner with lots of selection! 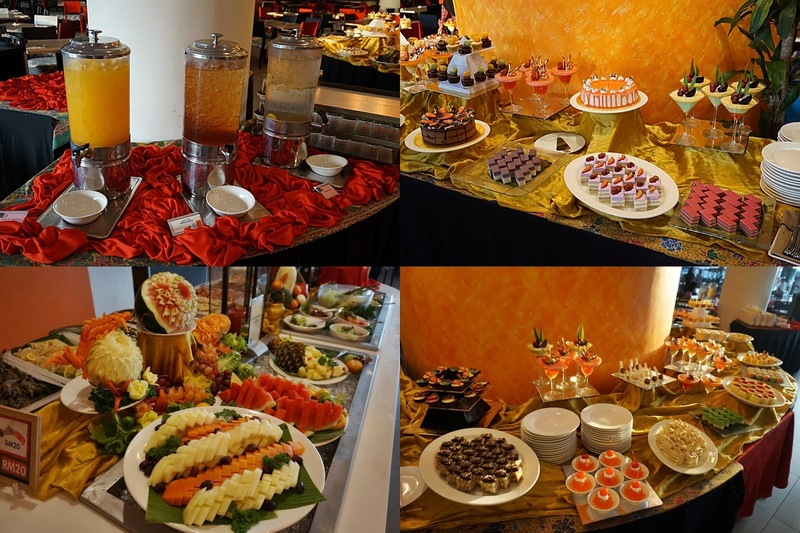 Assorted Cakes, puddings, tarts, and many sweet treats. 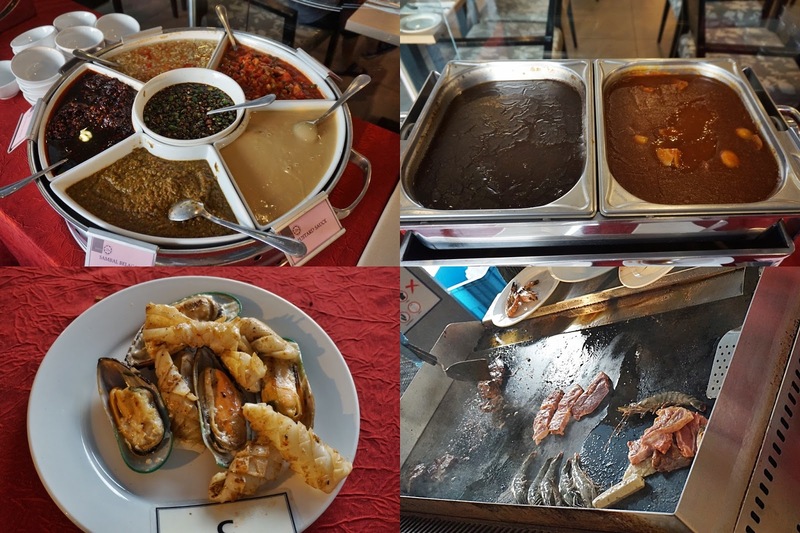 Seafood selections of Fresh prawns, chicken meat, lamb, beef, squids, mussels, sausages and etc. 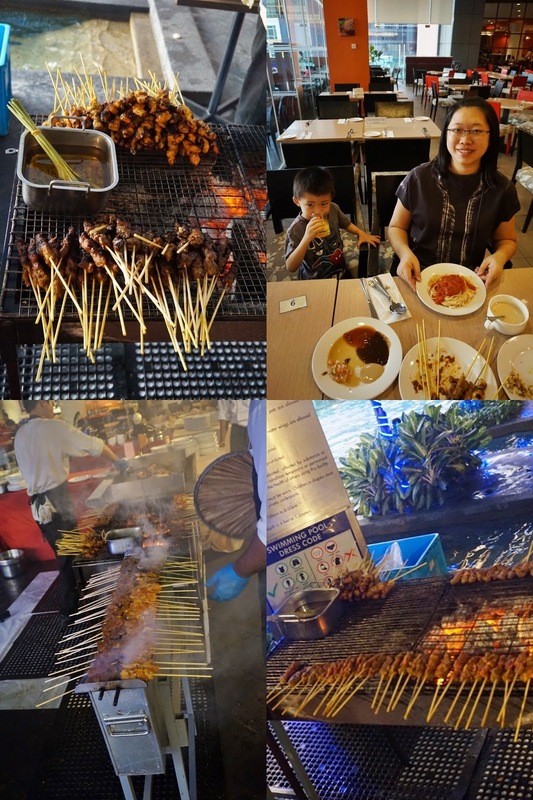 After you have chosen your favorite seafood and meat, proceed to the grilled station to get your queue number and within 6 minutes your food will be served on your table. Few types of sauces to choose for your liking. 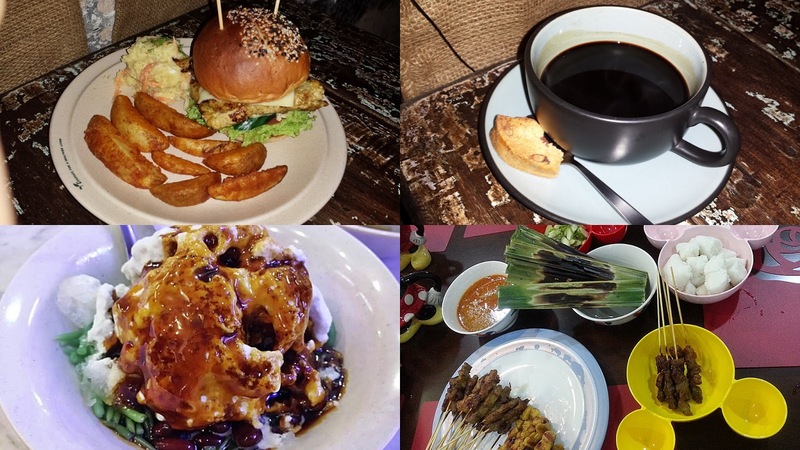 prefer the bbq sauce and asam sauce. 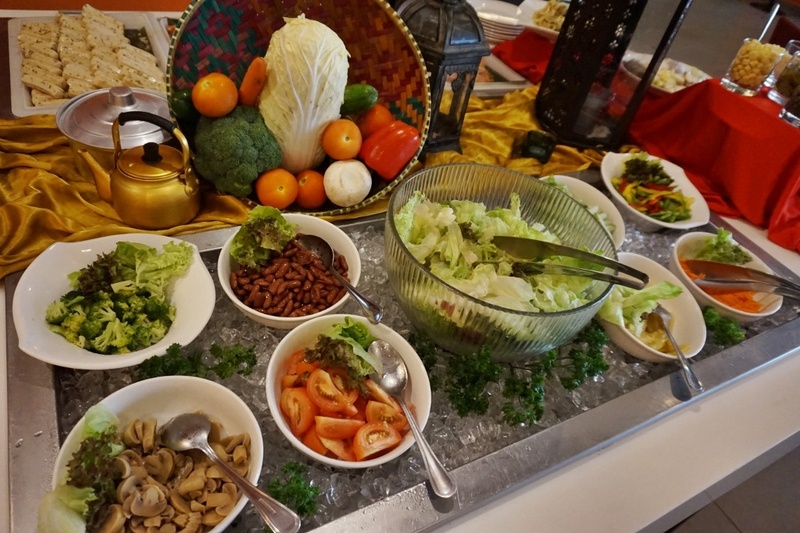 Delicious and flavourful chicken satay. 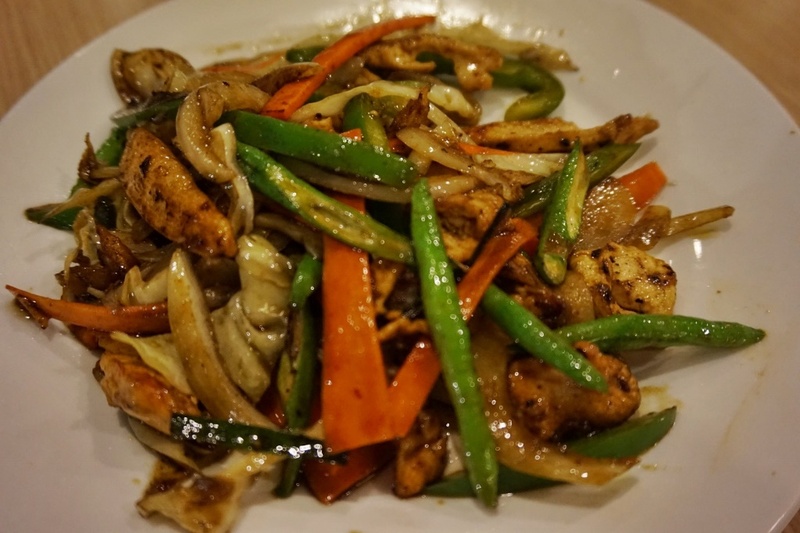 Tender chicken meat and perfectly grilled. 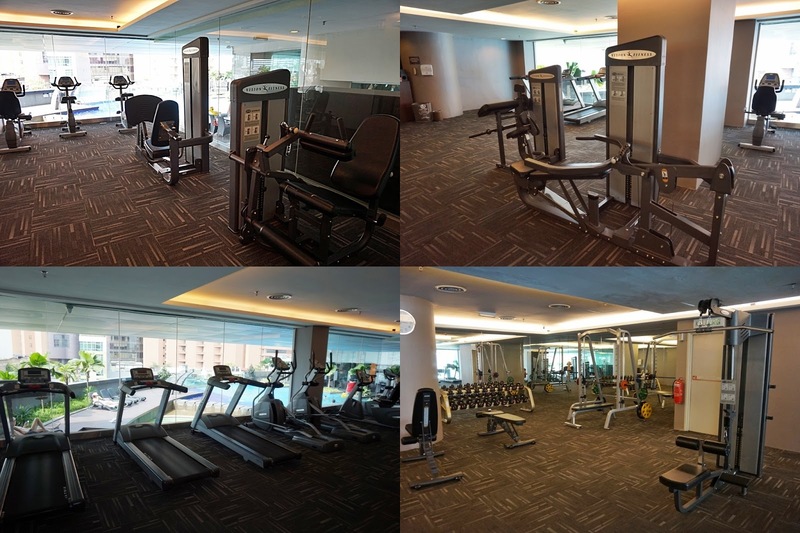 A spacious fully-equipped gym with a great view of the pool is available for fitness enthusiasts. 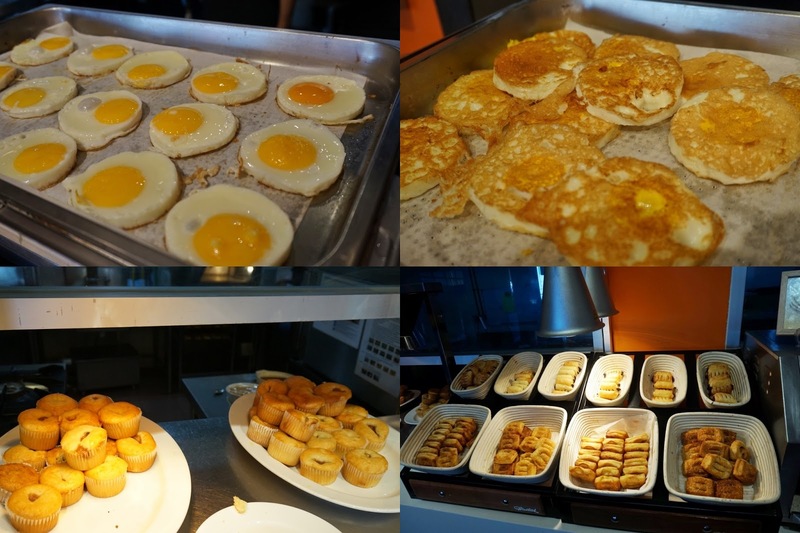 Open daily from 0600hrs to 2200hrs. Kids love the hotel room setup so much and such a memorable weekend for them. 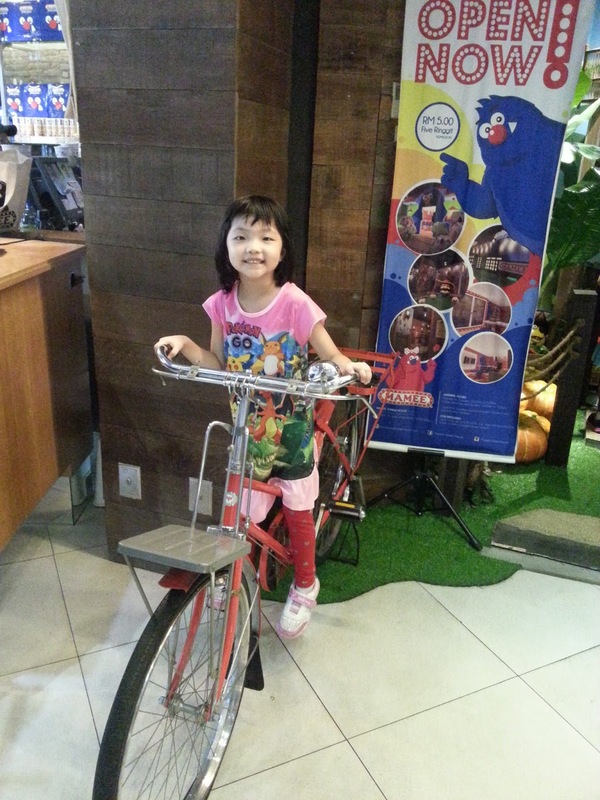 A relaxing staycation and family friendly place that makes us feel welcome and care for the kids safety and needs. 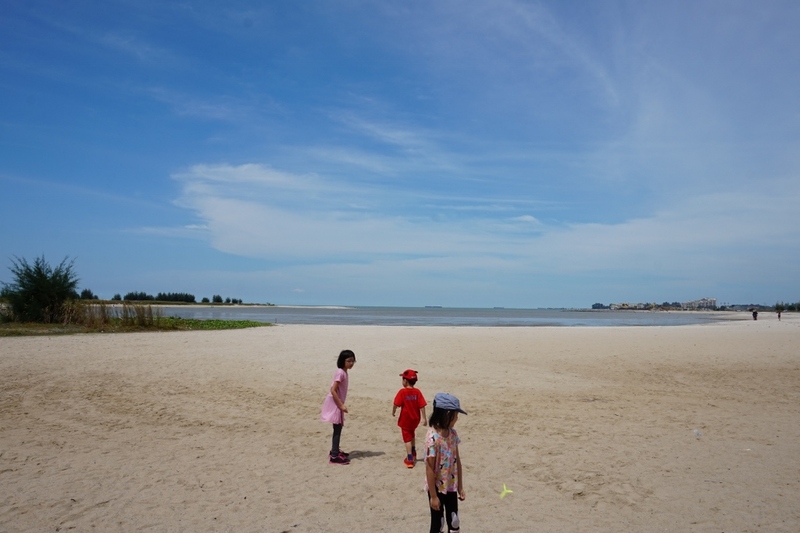 We had a fun filled weekend gateaway last weekend to Malacca having our first experience homestay at SLV Small Luxury Villa.We have not visited Malacca city for almost two years and the kids are excited for this travelling moments coz I am telling them that my sisters children are joining us for the stay. It is also our long waited sis gathering moment and of course our family bonding time together. Two hours drive to Malacca, smooth journey with sunny weather. The sign board is pretty clear showing us the way to Taman Gadong Perdana and we can check in anytime at our convenience. The covered car porch can fit up to 3 cars and we are provided with the passcode one day earlier to enter the main door. SLV use smart locking system and CCTV are placed outside the house and along the street too. Secure and safe environment with passcode to enter the main gate, main door and lock. 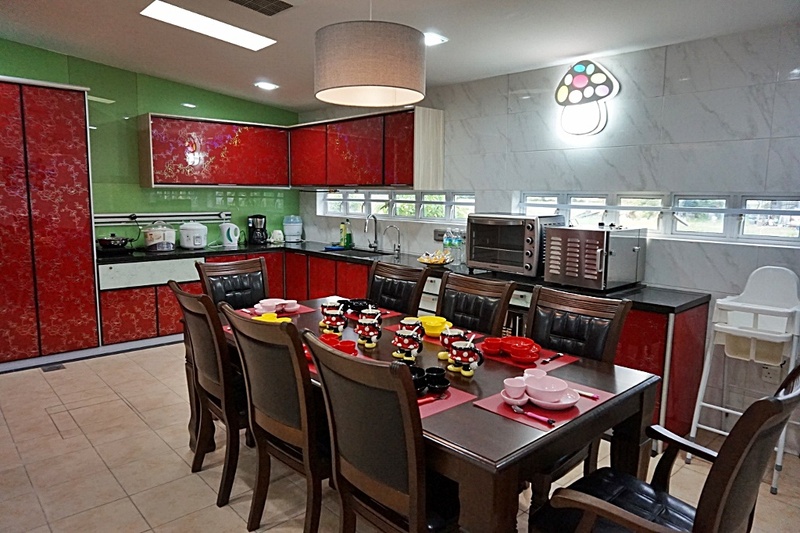 SLV Villa M is single storey semi-detached luxury holiday house that designed in a contemporary modern styled with complete furnishings and bedding. 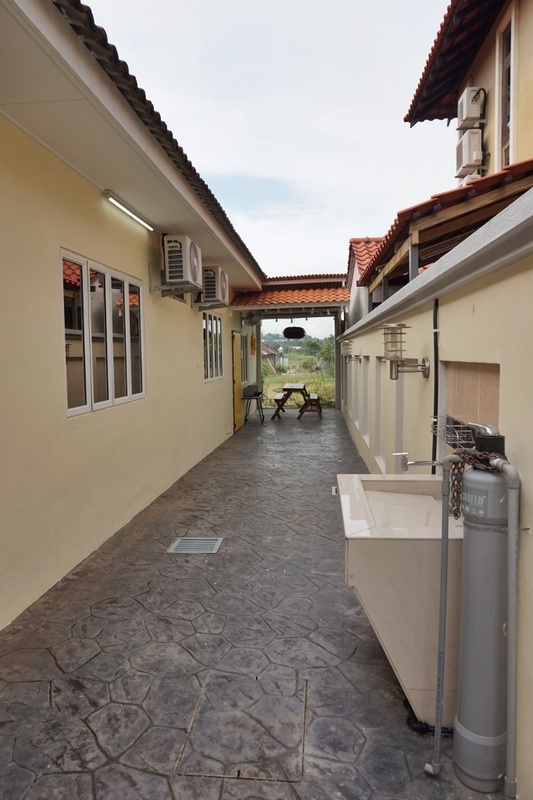 This is our best holiday homestay and can accommodate up to 10 people in the house with 4 bedrooms inside. Wow! That was our first impression when we first enter the villa. 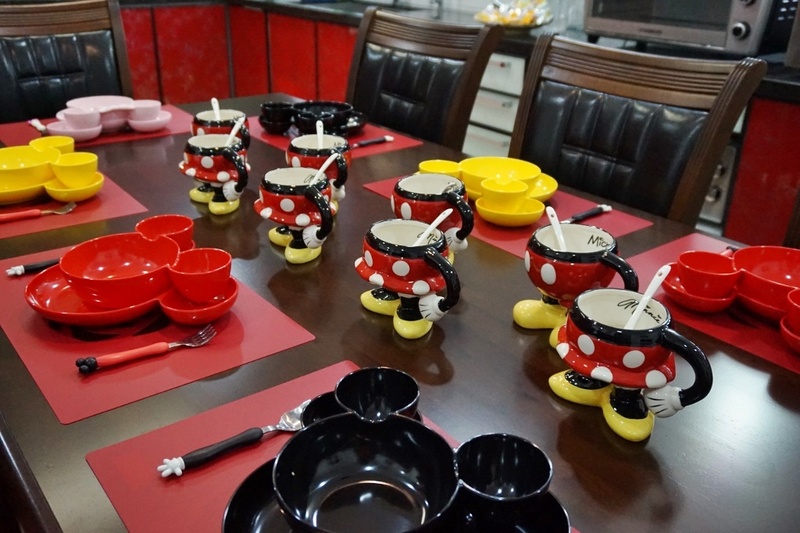 Huge space and all sections are beautifully decorated with Mickey and Minnie Mouse theme. 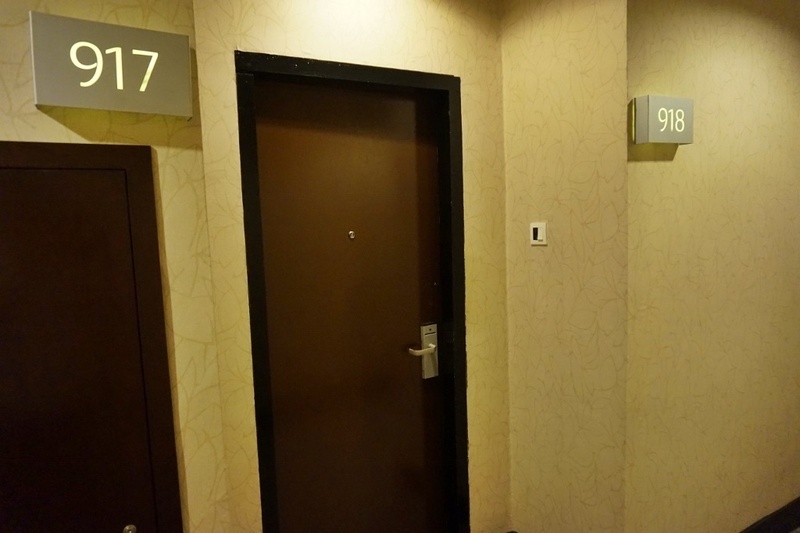 Kids are curious enough to check out every rooms and keep telling me what surprises inside. Air conditioning in the living hall and every bedrooms. Kids have fun with the hidden treasure hunt game. They need to read the letter given by Mickey and Minnie Mouse and start the hunting game. They found a box of chocolates! Yeah! Loving this photo booth section. 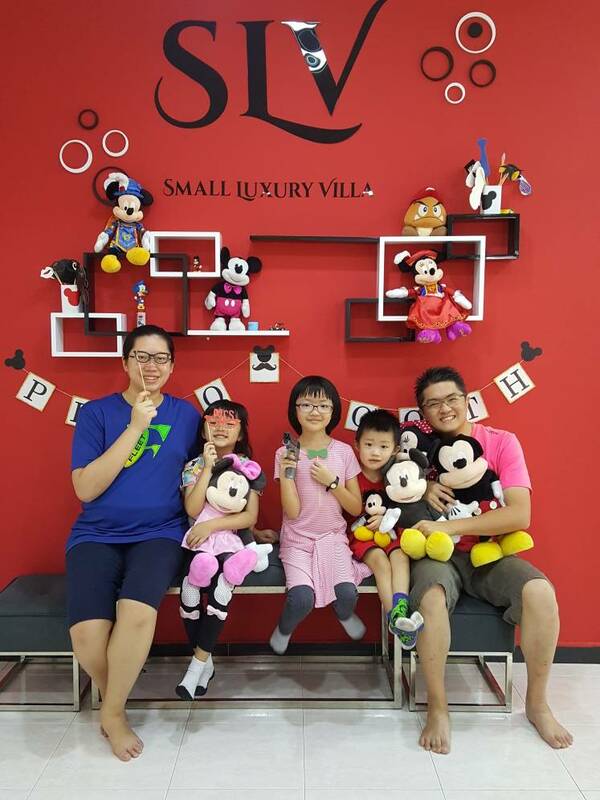 We are just like taking our family photo in studio with props readily available and cute Mickey and Minnie Mouse in the house. The bathroom is attached inside the master bedroom. It has few levels of shower function. Kids love it too. Adults can adjust the water pressure for them to have a back massage. Massage shower panels are available in each bathroom. A truly new experience for us. 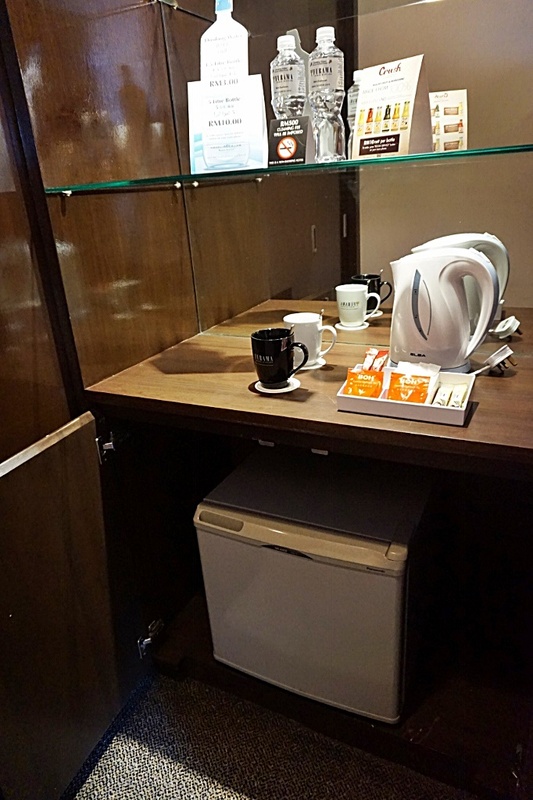 Provided with iron and ironing board, hairdryer, a huge wardrobe and lots of power point socket. Three single bed just nice for the elder kids to sleep in this room. 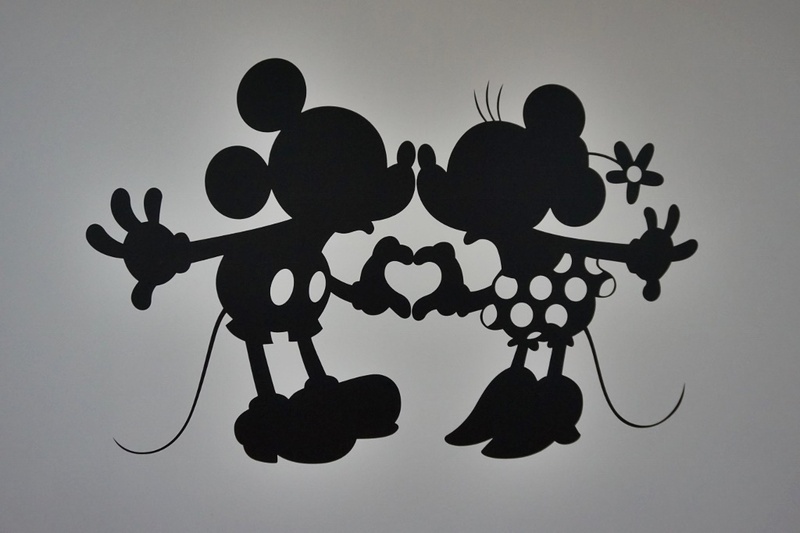 A room with magical Disney lights for them. Bright and colourful room because there are plenty of toys inside! The owner is very thoughtful to provide so many different kinds of toys both suitable for girls and boys. The kids are jumping to joy searching their favourite toys and find treasures inside each corner of the cupboard. Surprises, laughter and joy seeing them so happy together. My boy enjoying his swing and finding the Thomas and Friends toys. 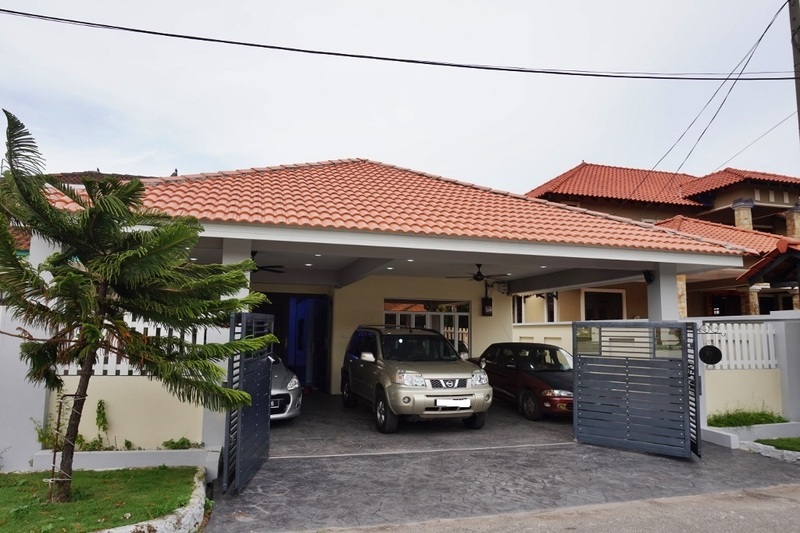 A home with Child friendly features that provides edge protection, floor mats in mini playground, and most importantly there is no stairs as this is single storey house. All have fun with this slides.. Fun moment begins! Girls having fun with cooking toys, supermarkets trolley and lots more. 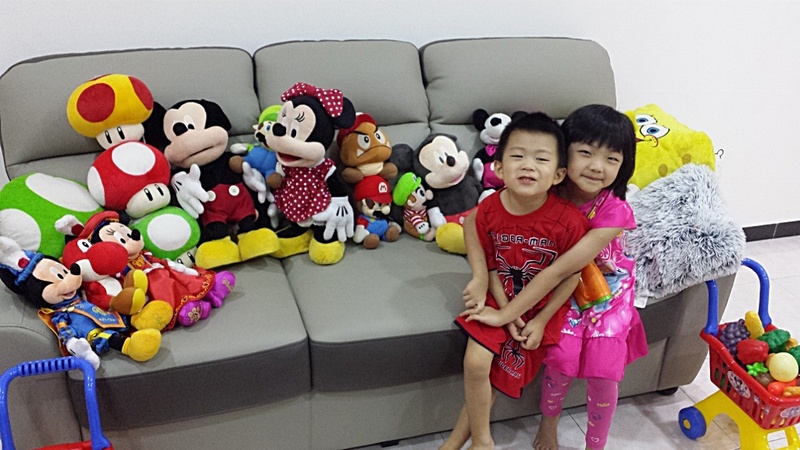 What keeps them together is finding all the cute soft toys and gather them all in one place. Say Cheese! I think we are more excited to discover Nintendo games system with so many games to play inside. Plus a DVD Home Theatre System with more than 100 DVDs to choose from. Entertaining and plenty of activities for us. 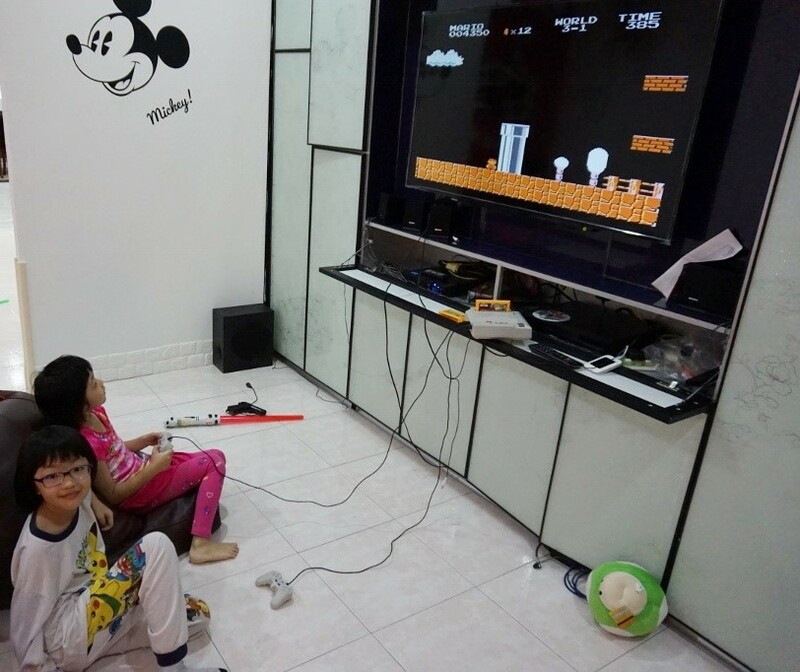 Their first time playing Super Mario games together. Mummy and daddy got addicted too. Our childhood game anyway! Another room located behind the kitchen area that can fit 2 pax. Relaxing moment while kids have hours of fun with their toys. Amazing kitchen set up. 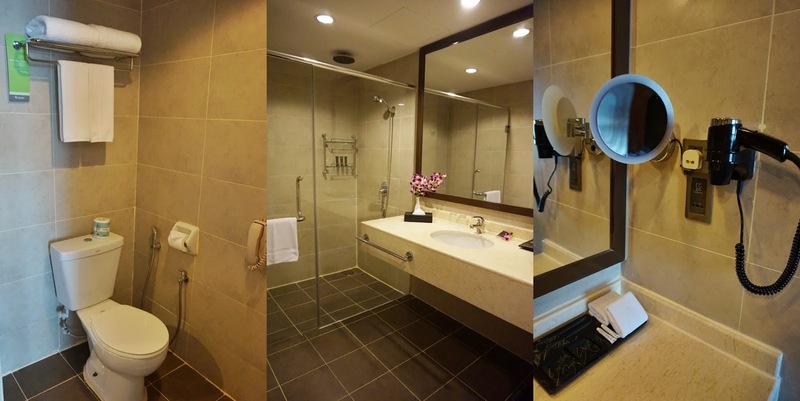 Clean and cozy with complete amenities for guest. Homey feeling that makes you just want to stay in the house and enjoy our family moments. 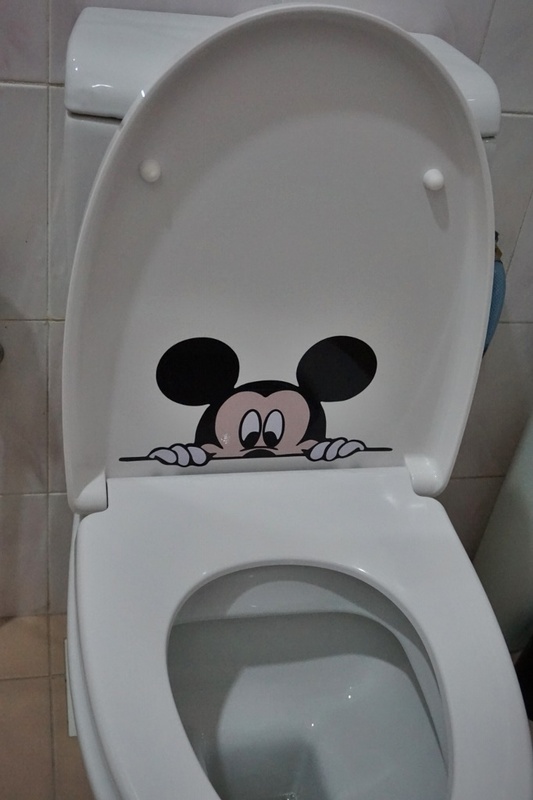 The kids get attracted to the Mickey cutlery and sit down quietly having their food here. 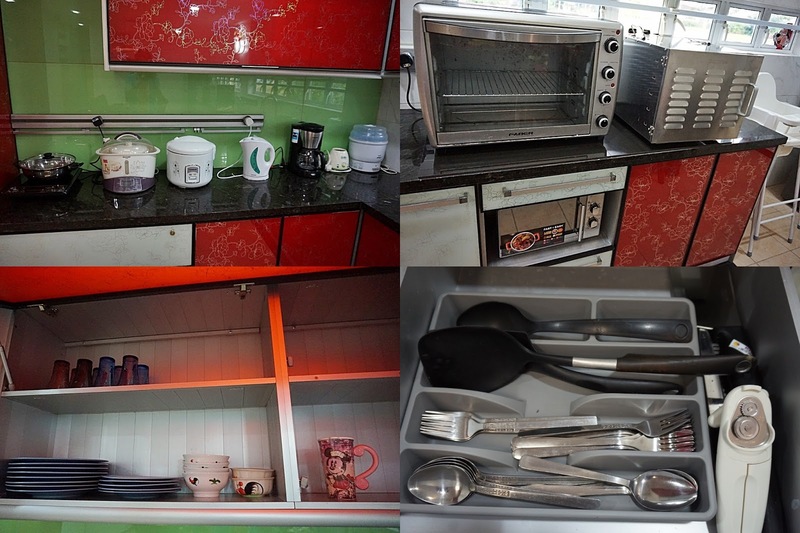 Well-equipped kitchen with fridge, induction cooker, coffee machine, microwave, slow cooker, oven, food dehydrator, air pot, slow cooker, etc. They also provide baby bottles sterilizer and bottle warmer. Clean cutlery, plates, bowls, cups and etc. 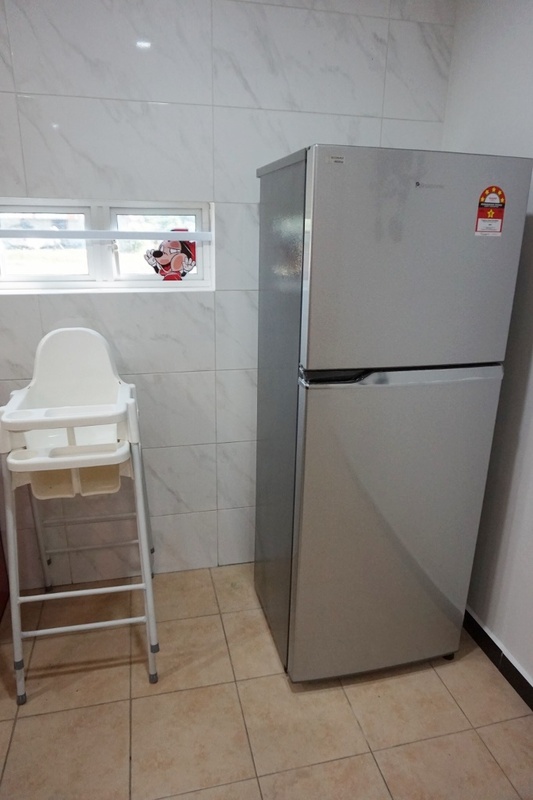 Fridge is still new and baby high chair is provided too. Besides that, you can also consider to venture these places which is very convenient to be reach from the villa. SLV Villa is a spacious and charming villa that provides family friendly place, ideal for a great family vacation. Luxurious homestay that gives us an unforgettable experience and I am looking forward to tag along more family members to come and visit this place. My eldest girl mentioned to me twice with a sweet smile 'This was the best day of my life'.